Pete! Pete! LOOK! 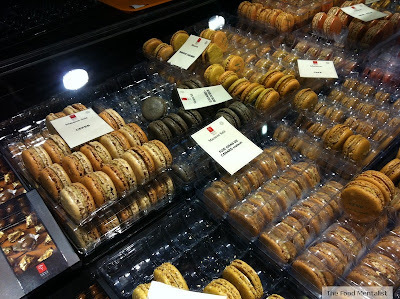 They have foie gras macarons!!!!!!!! I squeal in delight! and know instantly that we are in foodie heaven! 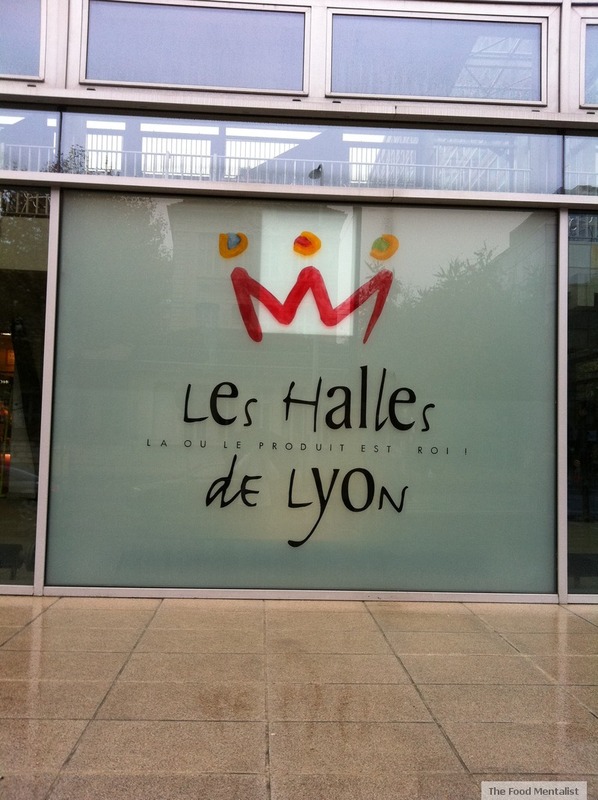 Les Halles de Lyon is an indoor food market in Lyon, France. Lyon is situated in East-Central France, about 390km from or a 2 hour train ride from Paris. It is best known for it’s ‘dedication’ to food and wine and is said to be the gastronomic capital of the world. After checking in at Evasion Loft ( which was amazing by the way!) our gracious hosts Therese and Olivier gave us maps of Lyon, suggested restaurants, and after discovering we were crazy foodies told us about Les Halles de Lyon. After settling in to our room we set off bound for Les Halles. It was about a 15 minute walk from our accommodation which we didn’t mind, we figured we would need it if Les Halles was all we were hoping for. 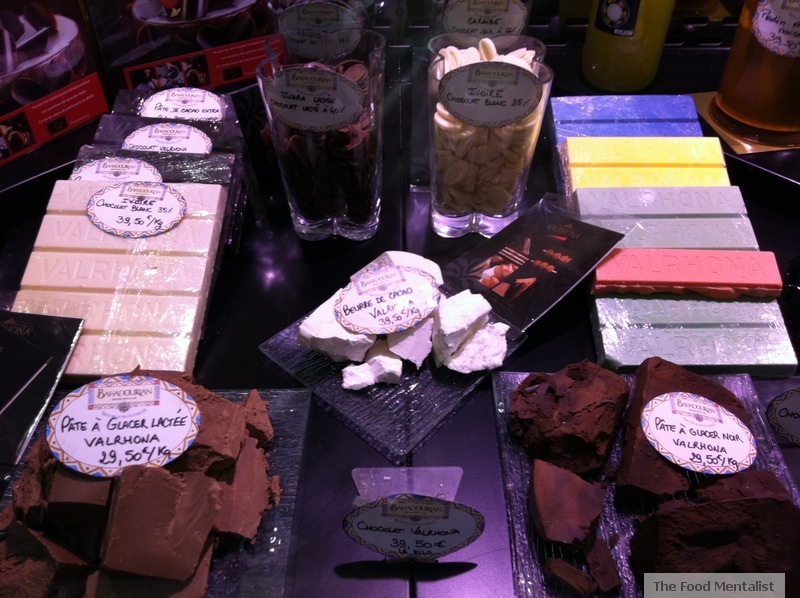 With over 59 food traders, Les Halles is said to be the place where the top chefs in Lyon go to stock up on top quality ingredients. 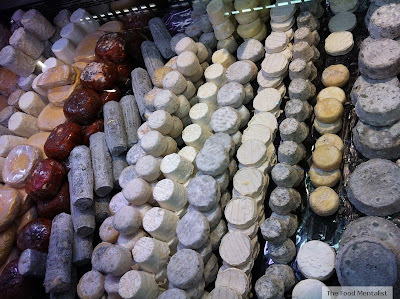 We start off together wandering down each isle mesmerised by the variety and quality foods surrounding us. There is cheese, bread, pastries, oyster bars, jamon bars, salads, meat, snails, macarons, fresh fruit and vegetables, chocolates, and everything else in between. Nothing about this place is mediocre. 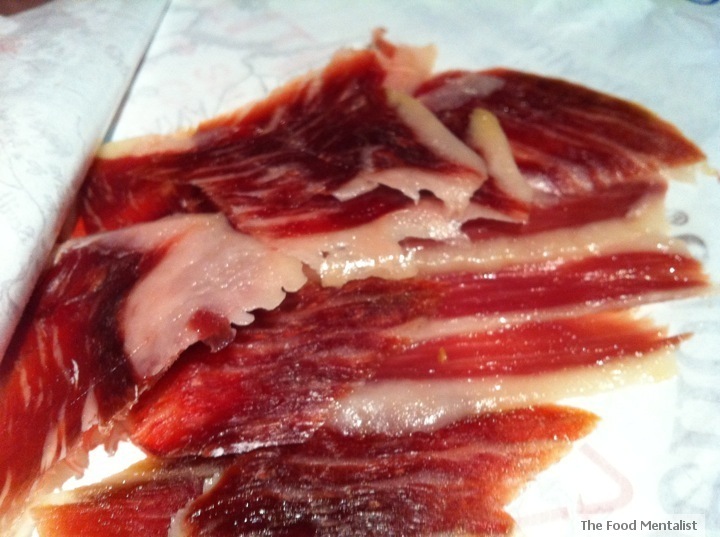 We walk past a few oyster bars and notice several food traders solely dedicated to the sale of Jamon. Pete is besotted! After having a good look at everything , we decide to stock up on a few items to snack on later. We will need sweet and savoury and decide to surprise each other by splitting up to purchase these items. Pete will buy savoury and I’ll take care of the sweet. We agree to meet back at the front of the market in 30 minutes. Wandering around you can’t help but feel the buzz! Everyone is there for the same reason – for the love of food! So much fun! Perhaps we could start with some cheese? Or would you prefer the real stuff? 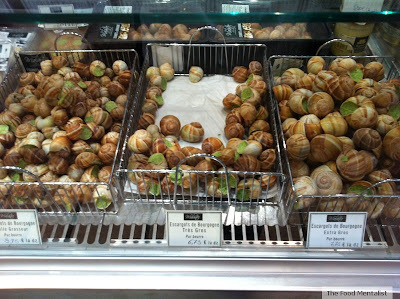 Escargot may be more your style? Lets move on to a something a little more substantial. Seafood anyone? 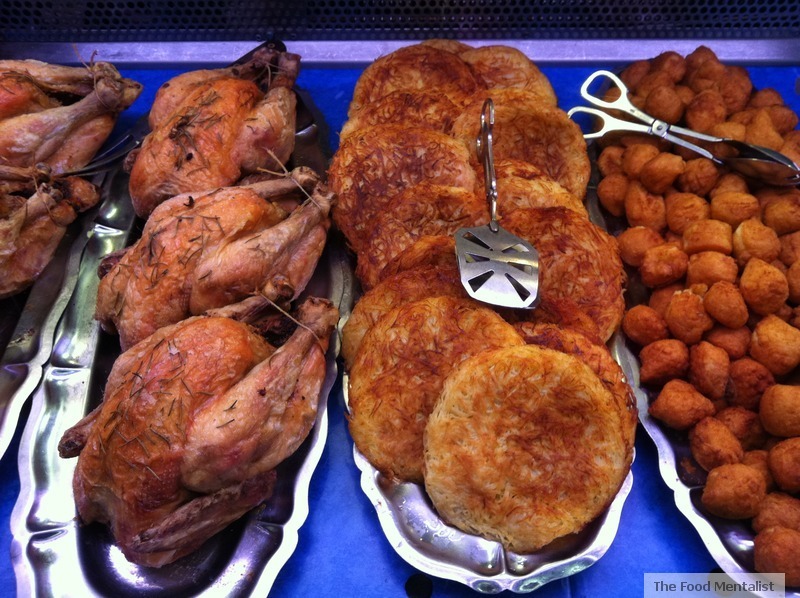 Alternatively, you could have some chicken and potato rosti? How about a few sides? Mac & Cheese, French style, Oh Yeah! Feeling full yet? I'm actually feeling like something sweet myself. Shall we start with a little fruit? Or perhaps a slice of praline tart? Maybe a chunk of Valhrona chocolate for later? A cheese plate might be nice? Where's the wine? 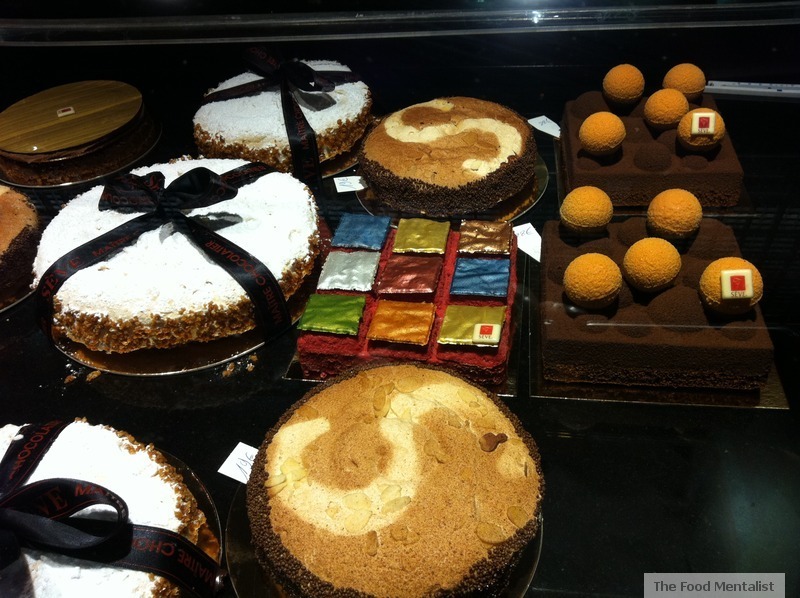 A cake to take with? Or do you fancy a piece of Turkish delight heaven? 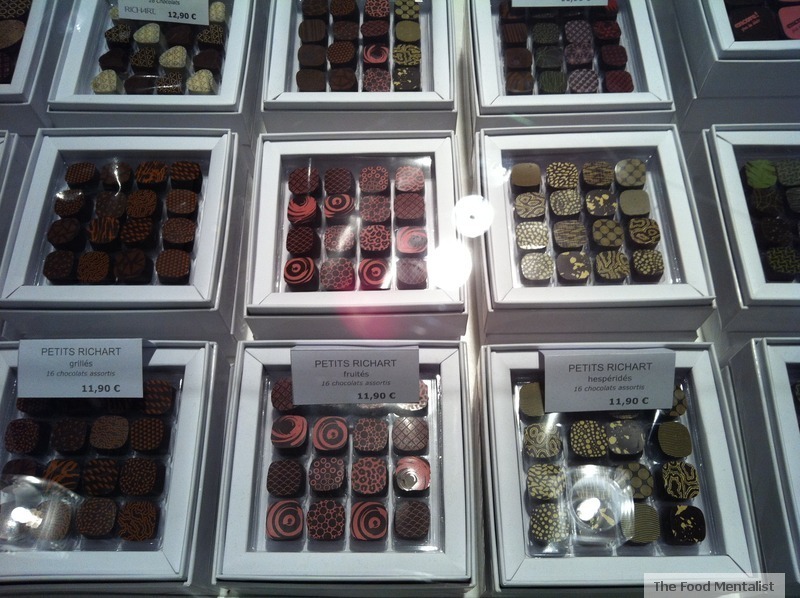 A box (or 3) of Richart chocolates to take home? How should we pay for all of this? I head back out to the meeting place armed with bags. 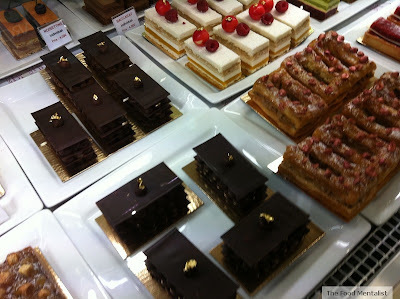 With me I have a small praline tart, some nut pastries, a few boxes of Richart chocolates to bring back to Australia, some olive oil, a few blocks of Valhrona and Weiss chocolate, some figs and a few salads. I got carried away. I know I have deviated slightly from the sweet brief but Pfft! who cares! Pete is 15 minutes late and when he finally shows up it becomes clear why. He too is armed with bags of stuff! 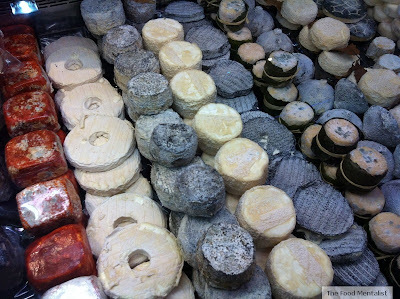 He managed to pick up some crusty bread, several cheeses, some french sausage (saucisson) and tells me he managed to make a stop at one of the Jamon stalls, Yay! We reluctantly drag ourselves out onto the street, realising if we don't leave now we won't get to see the rest of Lyon! We then drop off our purchases back at the Loft and head out to hire some bikes and cycle around Lyon. 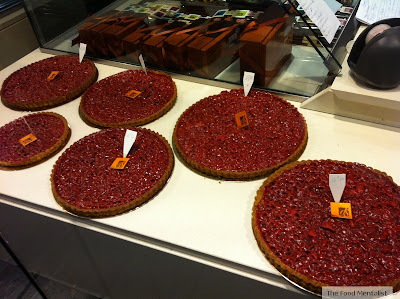 Oh, and in case you were wondering, we went back to Les Halles de Lyon the very next day! Oh my! 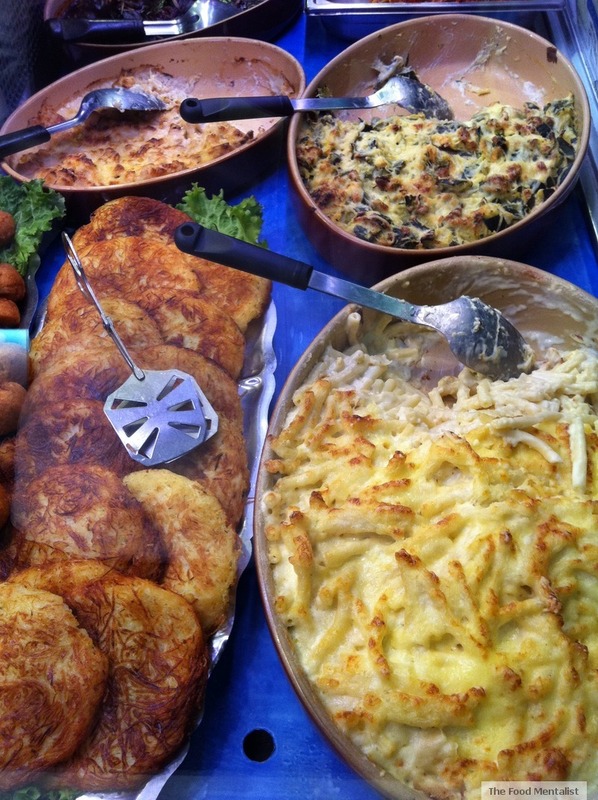 I love Europe for the simple fact that IT loves FOOD and celebrates it everyday with markets like this - I'd be going back too. 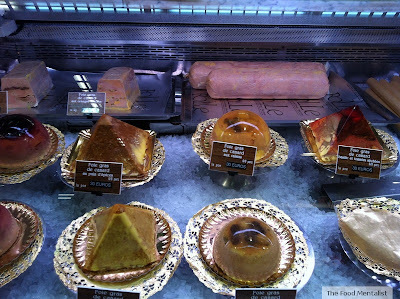 Pate for me, Turkish delight for Mr Chipconnoisseur. I'm not sure he would leave though... he has no sensitivity to sugar! We're heading to France in July and I was not sure where to go after Paris, but now I do. Oh Yeah is right. 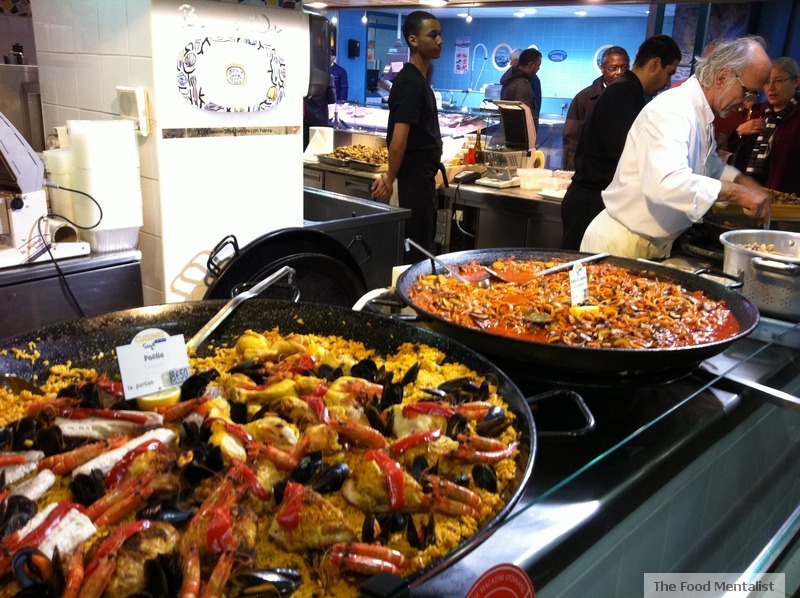 We seriously need this foodie action in Aus! 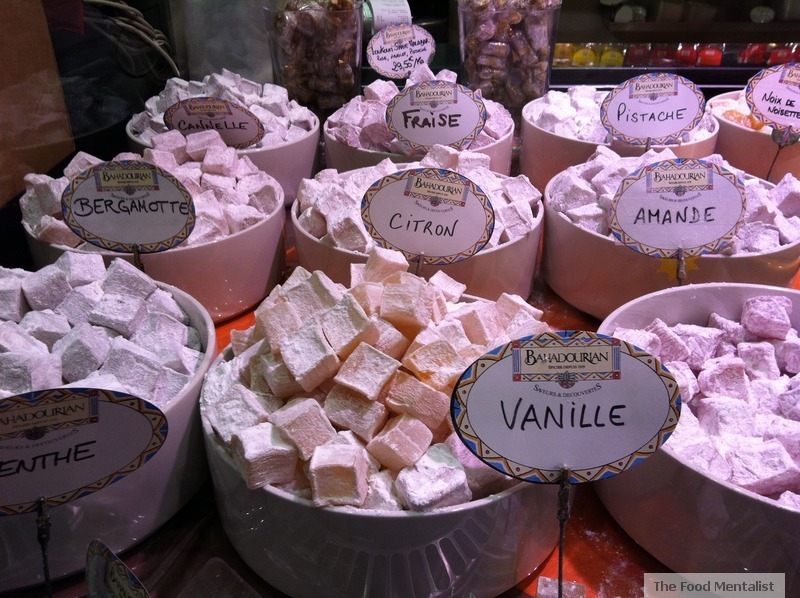 These photos just brought back so many memories of my trip to the South of France last year. 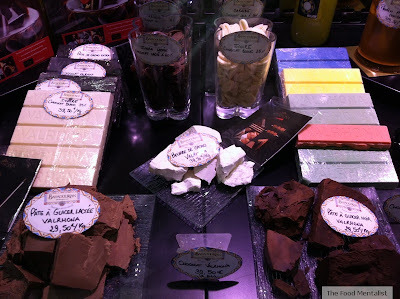 We were in Nice and had a similar foodie experience, and went absolutely crazy in this one food hall type thing. Stocked up on lovely French food and then had a picnic. I want to go back!! Jambon, not jamon! Jamon is Spanish, jambon is French. It is basically ham...but really good and nothing like what you buy in Australia. 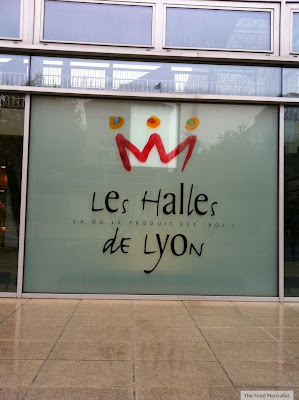 I have lived in the south of France for two years and now live in Lyon. I just love this city. It has a heart and soul very similar to that of my home town, Melbourne. And...I live just opposite Les Halles so I visit daily! 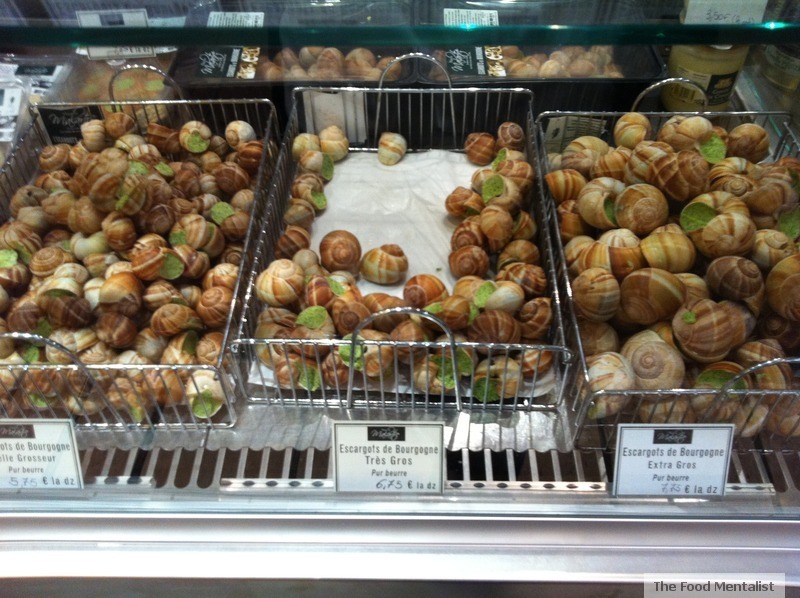 I just love how cheap food is in France...and yet of top quality. There is nothing to match this in Australia. Looks amazing, I really want to go there soon. I saw it pictured on French Food Safari too and now researching it on the internet. I am off to Lyon in a few weeks..putting it on the top of my list to go here too. 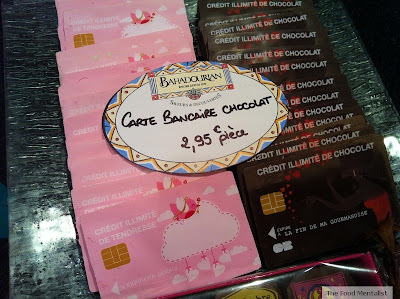 Those chocolate credit cards look incroyable! Hello and thank you for all this wonderful information. My husband will be in Lyon for May and June 2013. We know Paris, but have never stepped foot in Lyon. 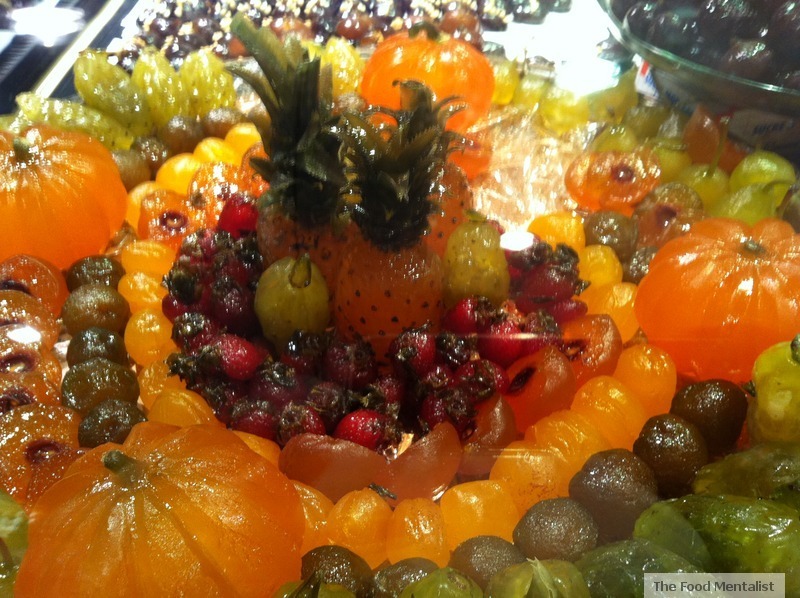 We live in Florence and I am a tuscan specialist (if you love food, you need to visit the Mercato Centrale di Firenze). I was wondering if you could answer a question: We are looking for a very quiet place to rent because my husband will be doing an intense research project (no loud students or tourists, please!). Can you recommend an area or at least tell me which ones to avoid? Many thanks!!! Thank you for this wonderful information! We have never been to Lyon. My wife is a Tuscan specialist and also a foodie (we have the Mercato Centrale here in Florence). I will be doing an intense research project and need a QUIET place to rent for two months (May and June). Can you recommend an area or at least tell us which ones to avoid. We want to be far from loud students/tourists. Thanks! Thanks for visiting my blog! Yu will absolutely LOVE Lyon, it is magical. It was a great place to stay and was very quiet. Let me know how you get on. When are you travelling? I have tasted the delicious butter chicken in this hotel when I had traveled to France. I feel that I am missing the taste of this yummy food and will definitely plan a trip to France once more.